On a stay down at Milyeannup on private property, we drove onto the beach for a quick look. 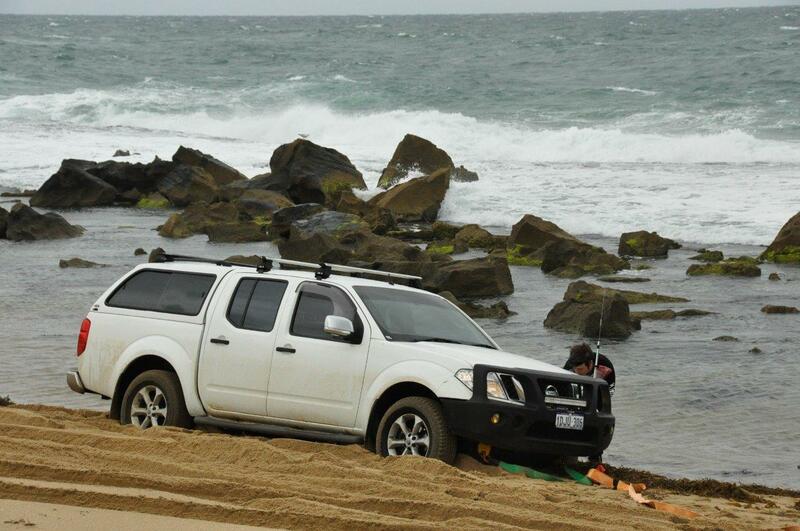 I figured the sand would be hard enough to have a quick look and drive out again. I made it about 10 meters before the 80 sunk like a rock. Even after letting our tyres down to 15 PSI we all had a hard time!